Truck accidents can be caused by a lot of different reasons including failed brakes, negligence, disobedience of traffic laws or intoxicated driver. These accidents can lead to death, severe injuries, and loss of properties and termination of employment. If you happen to have experienced a truck accident in Azusa, CA, make sure to get in touch with a reputable truck accident attorney in Azusa as soon as possible. 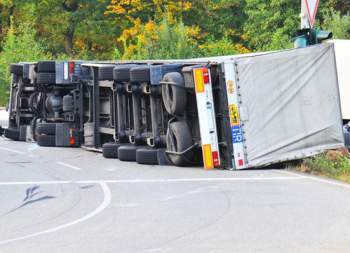 The truck accident lawyers at Rawa Law Group are well versed in handling such cases. Our firm has some of the best personal injury lawyers in the whole of California and these lawyers have a collective experience of over 50 years of handling similar truck accident cases. We at Rawa Law Group have a deep sense of commitment to our job and we are tireless, relentless and have strong advocacy for the injured. Our truck accident attorneys in Azusa can pay you a visit at home or at the hospital to take detailed information needed to help you get maximum compensation. In our over a decade of rendering stellar legal representations, our firm has grown from strength to strength and have helped clients win cases totaling hundreds of millions of dollars. All lawyers in Rawa Law group are aggressive in the courtroom with the tact to make as much money for you to compensate you for the pain, suffering and traumatic experience you must have had. Our no upfront fees tell you we are committed to service, and we only get paid after we have won you a well-deserved compensation. Talk to us today for apt legal representation for any truck-related accident in Azusa, CA.